With SparkPost, our highest priority is protecting our users, their data and their reputation. We take great efforts to protect our network against external threats, but one of the biggest risks to users is their passwords being compromised and having a criminal then using those credentials to pose as them. To prevent that, we’ve implemented multi-factor authentication(MFA) as an option on all accounts in Sparkpost. With MFA enabled, when you login to your SparkPost.com account you will also need to enter a token that you receive on your mobile device. 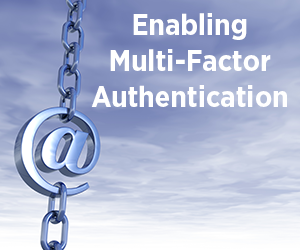 Multi-factor authentication (MFA) has become the gold standard of ensuring a user is legitimate at log in time to an internet service or app. By requiring the user to receive and enter a code on their known device at a pre-determined mobile number, businesses can greatly reduce the risk of fraud. MFA is in use today at companies known for high security standards like financial institutions. MFA is an excellent way to protect your account and we recommend all users enable it on their accounts. While many of us are used to MFA, it is certainly not standard in all email services on the web as evidenced by a recent high profile break-in using an email delivery service. To enable MFA, login to SparkPost, go to your account tab, and the security sub-tab, and click to enable two-factor auth.